Yes, of course they made mistakes. But they werent stupid. Or willfully ignorant. Or incompetent. Blockbuster, Kodak and Xerox were not run by stupid, silly people. Blockbuster shows that a strategy isn’t enough, you have to manage internal networks so the strategy doesn’t get derailed. Kodak shows that it’s more important to prepare than adapt. Xerox did invent the future, but failed to realize the full potential of its technology because it pursued the wrong market. When you have something that’s truly new and different, you need to look for new and different customers. Running organizations of any significance is complex and difficult. Reality is messy. Go to just about any conference today and you will hear a familiar tale of woe. A once great corporation, which had dominated its industry, fails to adapt and descends into irrelevance. The protagonists of these stories always come out looking more than a little bit silly, failing to recognize business trends that seem obvious. The problem with these stories is that they are rarely true. Make no mistake, it takes a considerable amount of intelligence, ambition and drive to manage a large organization. The notion that these people overlooked what was obvious to everyone else is overly facile and simplistic. It’s also misleading. Great companies do not fail because of a single decision or trend. The roots of disruption are always more complex than that. So by imagining CEOs to be morons, we neglect to look more closely at their demise and learn valuable lessons. The truth is that every business model fails eventually. We need to learn the true sources of failure if we are to overcome them. A favorite pundit punching bag is Blockbuster. The story, as they tell it, is that Blockbuster was blind to the threat that Netflix represented, subjected its customers to predatory late fees and failed to formulate a strategy to adapt to the digital world. Not surprisingly, the once might company descended into chaos, then bankruptcy. The truth is much more complex, interesting and troubling. As former CEO John Antioco explains in a HBR article (and nobody disputes his facts), after initially dismissing Netflix as a niche player, his team soon saw the writing on the wall and moved quickly to discontinue late fees and invest heavily in an online platform. Eventually, his team came up with a strategy that actually began to beat Netflix at its own game. It was called Total Access and it allowed customers to rent videos online and return them in stores. It immediately gained traction and before long Blockbuster was adding subscribers faster than Netflix was. So what happened? Investors didn’t like the costs associated with the program (about $400 million) and franchisees were wary about the threat to their businesses. Things came to a head in 2007 when, after a salary dispute, Antioco was fired. His replacement, Jim Keyes, reversed the strategy to focus on the retail operation and the company went bankrupt three years later. Notice the difference. The way the pundits tell it, if the silly fat-cat executives were paying attention, all would have been well. The reality is that the senior leadership came up with a viable strategy, but couldn’t manage the internal networks of forces that derailed it. That’s not so simple. Did Kodak Really Ignore Digital Photography? In 1975, a young engineer at Kodak named Steve Sasson invented the digital camera. At first, it wasn’t much to look at, weighing eight pounds and able to produce pictures of only 0.01 megapixels (today’s iPhones produce 12 megapixels images, an 120,000% increase). He estimated at the time that it would take 15 to 20 years for the technology to become viable. The pundits’ version of what happened next is predictable. 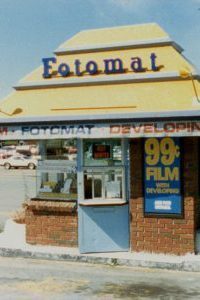 Being a silly big company with its head in the sand, the firm failed to pursue digital photography. New upstarts took over the market and prospered, while Kodak vanished into irrelevance. The company filed for bankruptcy in 2011. It’s tough to say what Kodak could have done. The only company that really seems to have profited from digital photography is Facebook and it’s hard to see how Kodak would have had a competitive advantage in building social networks. The only real solution would have been to invent an entirely new business that could replace its cash cow. That’s easier said than done. Today Kodak still exists. Its business today focuses of imaging services for the corporate market, where I’ve heard it’s gaining traction. One of the most legendary stories in the history of technology is that of Steve Jobs and Xerox. After the copier giant made an investment in Apple, which was then a fledgling company, it gave Jobs access to its Palo Alto Research Center (PARC). He then used the technology he saw there to create the Macintosh. Jobs got an empire, Xerox got nothing. Its answer to the problem was the Xerox Star, a system that was far ahead of its time. Unfortunately, it was much too expensive for a product that did little more than automate secretarial work. It wouldn’t be till a decade later that hardware costs declined enough and the software application ecosystem became developed enough to make Xerox’s vision possible. What’s missing from the story is that PARC delivered on its mission. In fact, it saved Xerox from the fate of Kodak. While its copier business was disrupted by smaller Japanese competitors like Canon and Ricoh, one component of the Star system, the laser printer, replaced the revenues lost from its cash cow and Xerox continued to grow. It also earned millions from licensing technology it invented and, it should be noted, from its investment in Apple. Pundits like to tell simple stories because they supply easy answers. If you believe that Blockbuster, Kodak and Xerox were run by stupid, silly people then you can avoid their fate simply by not being so silly and stupid. Once you start mucking up the story with the subtle complexities of reality, those simple, easy lessons no longer ring true. Yet the reality is that each one of these stories has important lessons to teach us. Blockbuster shows that a strategy isn’t enough, you have to effectively manage internal networks so that the strategy doesn’t get derailed. Kodak shows us that it’s more important to prepare than adapt. Digital photography could have never replaced the photo developing business. It had 20 years to invent a new market, but never did. In many ways the most interesting case is Xerox. It really did invent the future, but failed to realize the full potential of its technology because it pursued the wrong market. When you have something that’s truly new and different, you need to look for new and different customers. In this case, it was mostly kids and enthusiasts, not corporations, that provided the initial market for personal computers. Most importantly, these stories show that running an organizations of any significance is incredibly complex and difficult. There are no easy answers. So when anybody tells us that they could have saved a multi-billion dollar enterprise with a simple, easy fix, we should have some questions. Reality is messy.